We have lost another one, another hero, another example of excellence, we have lost another Tuskegee Airmen. God bless his soul. Willie N. Rogers was an American hero, and at age 101, he was a living example of the nation's history. 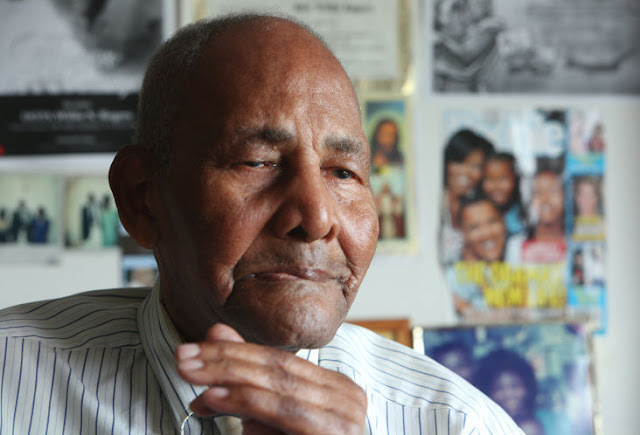 He was a member of the "Greatest Generation," which defeated the Axis powers in World War II, doing his part as a master sergeant in the all-black Tuskegee Airmen during the era of racial segregation in the U.S. military. The longtime St. Petersburg resident died Friday, 11/18/2016 from complications of a stroke. He was the oldest surviving member of that original legendary 100th Fighter Squadron, The Tuskegee Airmen. Mr. Rogers received his Congressional Gold Medal in November 2013. Also in recent years, he was presented with the keys to the cities of Lakeland and St. Petersburg. His portrait hangs in the St. Petersburg Museum of History.